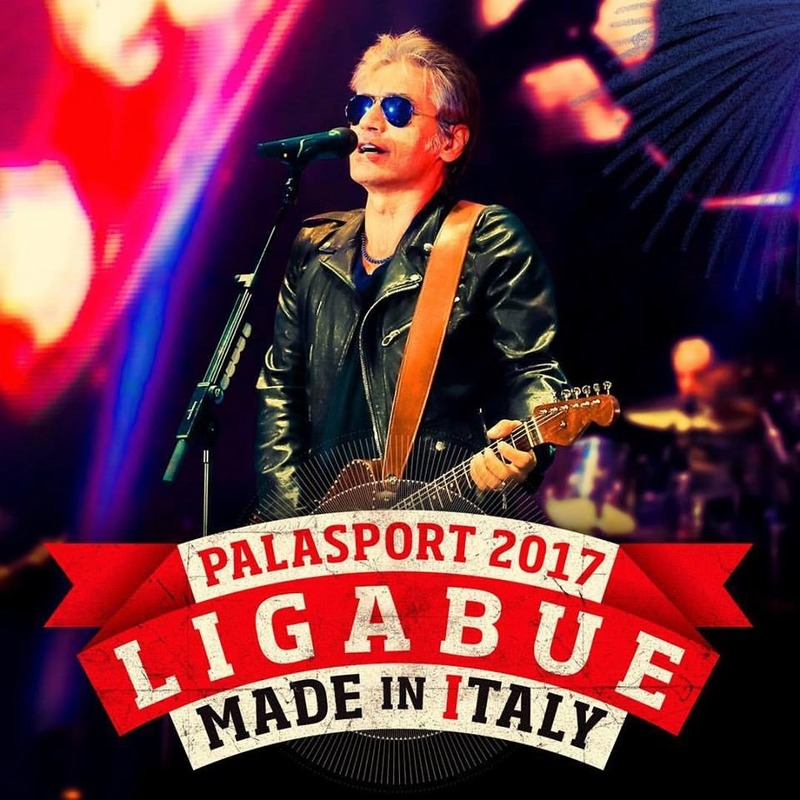 ​Notizia importante per i fan di Ligabue!!! Pochi istanti fa sono state annunciate le date del tour del cantautore emiliano, che sarà in giro per i Palasport italiani a partire dal 3 Febbraio 2017, con il suo ‘MadeInItaly Tour’. I biglietti saranno disponibili su TicketOne in prevendita, a partire dalle ore 11 di domenica 9 Ottobre. Voi a quale concerto andrete? ã€€( 2021.03.9 17:51 ) : After I initially commented I clicked the -Notify me when new feedback are added- checkbox and now every time a comment is added I get four emails with the same comment. Is there any way you can take away me from that service? Thanks! ÃÂ²Ã‘Â–ÃÂ½Ã‘ÂÃ‘ÂŒÃÂºÃÂ¸ÃÂ¹Ã‘Â–ÃÂ³ÃÂ¾Ã‘Â€ ÃÂ¦ÃÂµ ÃÂ·ÃÂ²ÃÂ¸Ã‘Â‡ÃÂ°ÃÂ¹ÃÂ½ÃÂ¾ ÃÂ´ÃÂ¾ÃÂ±Ã‘Â€ÃÂµ. ÃÂÃÂ»ÃÂµ ÃÂ¼ÃÂ¾ÃÂ¶ÃÂµ Ã‘Â…Ã‘Â‚ÃÂ¾Ã‘ÂÃ‘ÂŒ Ã‘ÂÃÂº Ã‘Â, ÃÂ±ÃÂ°ÃÂ¶ÃÂ°Ã‘Â” ÃÂ·ÃÂ°ÃÂ¿ÃÂ»ÃÂ°Ã‘Â‚ÃÂ¸Ã‘Â‚ÃÂ¸ ÃÂ·ÃÂ° Ã‘Â„Ã‘Â–ÃÂ»Ã‘ÂŒÃÂ¼ Ã‘Â‡ÃÂ¸ ÃÂ¼Ã‘ÂƒÃÂ»Ã‘ÂŒÃ‘Â‚Ã‘Â„Ã‘Â–ÃÂ»Ã‘ÂŒÃÂ¼ Ã‘Â–ÃÂ½ÃÂ´ÃÂ¸ÃÂ²Ã‘Â–ÃÂ´Ã‘ÂƒÃÂ°ÃÂ»Ã‘ÂŒÃÂ½ÃÂ¾ ÃÂ±ÃÂµÃÂ· ÃÂ²Ã‘Â–ÃÂ´ÃÂ±ÃÂ¾Ã‘Â€Ã‘Âƒ. ÃÂ§ÃÂ¸ ÃÂ±Ã‘ÂƒÃÂ´ÃÂµ Ã‘Â†ÃÂµ ÃÂ¼ÃÂ¾ÃÂ¶ÃÂ»ÃÂ¸ÃÂ²ÃÂ¾? ÃÂ¯ ÃÂ½ÃÂ° Ã‘ÂÃ‘Â‚ÃÂ¾Ã‘Â€Ã‘Â–ÃÂ½Ã‘Â†Ã‘Â– ÃÂ³ÃÂ¾ÃÂ»ÃÂ¾Ã‘ÂÃ‘ÂƒÃÂ²ÃÂ°ÃÂ½ÃÂ½Ã‘Â ÃÂ½ÃÂ°ÃÂ¿ÃÂ¸Ã‘ÂÃÂ°ÃÂ² Ã‘Â‰ÃÂ¾ Ã‘ÂÃÂ°ÃÂ¼ÃÂµ Ã‘Â Ã‘Â…ÃÂ¾Ã‘Â‡Ã‘Âƒ ÃÂ±ÃÂ°Ã‘Â‡ÃÂ¸Ã‘Â‚ÃÂ¸ ÃÂ½ÃÂ° ÃÂ“Ã‘ÂƒÃ‘Â€Ã‘Â‚ÃÂ¾ÃÂ¼. Wow, awesome blog layout! How long have you been blogging for? you made blogging look easy. The overall look of your web site is great, let alone the content!. Thanks For Your article about How To Palm Read | Your one-stop resource for everything Palm Reading .